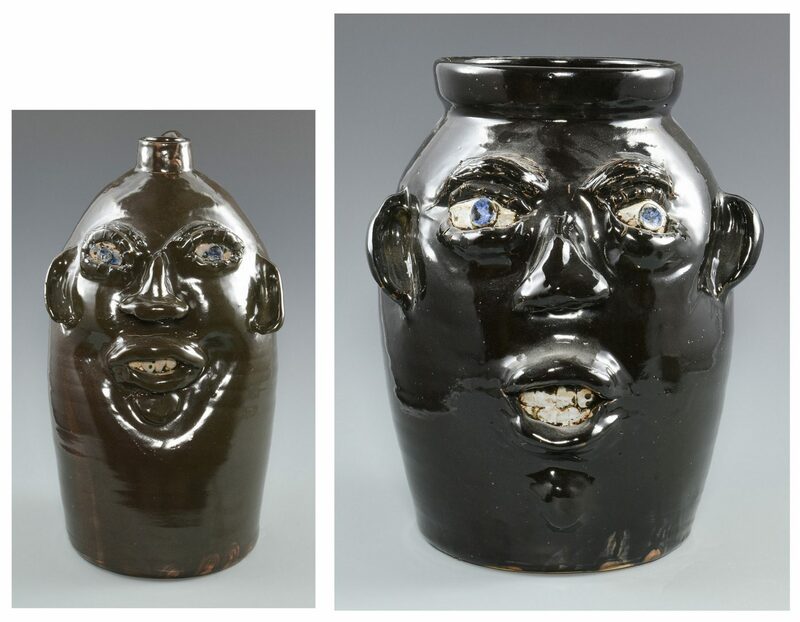 Jerry Brown (Alabama, 1942-2016), Two (2) large Southern stoneware folk art pottery face jugs. 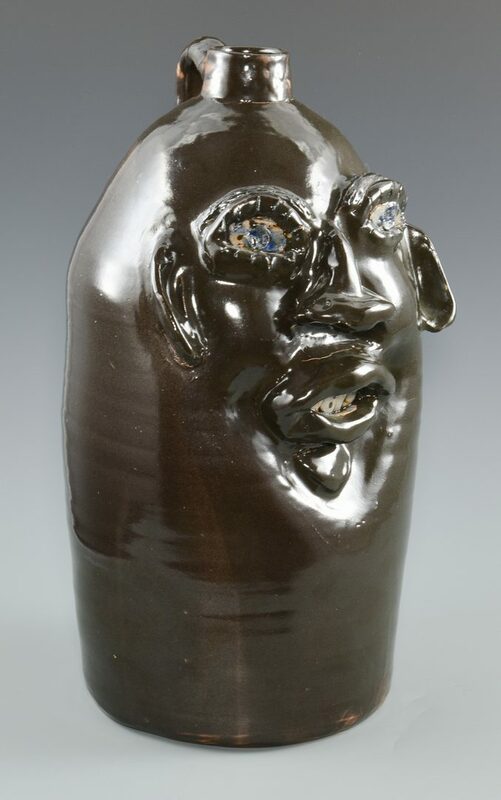 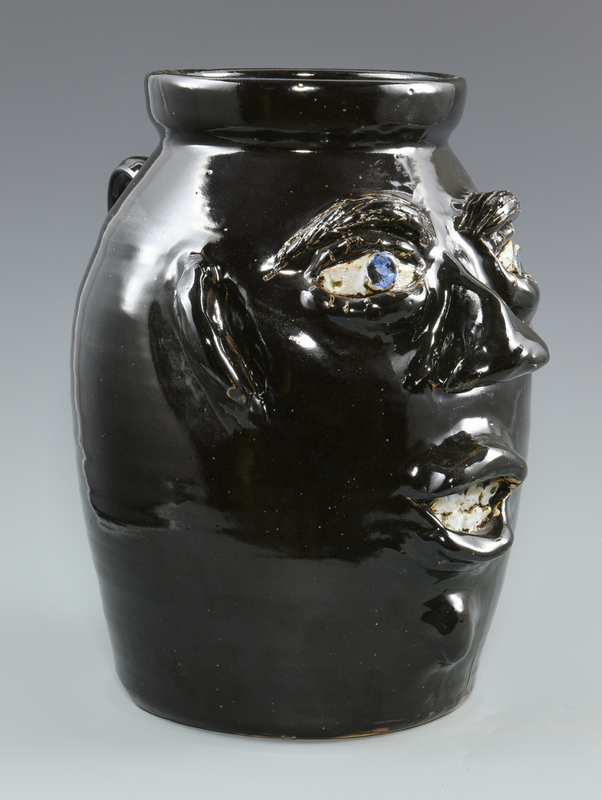 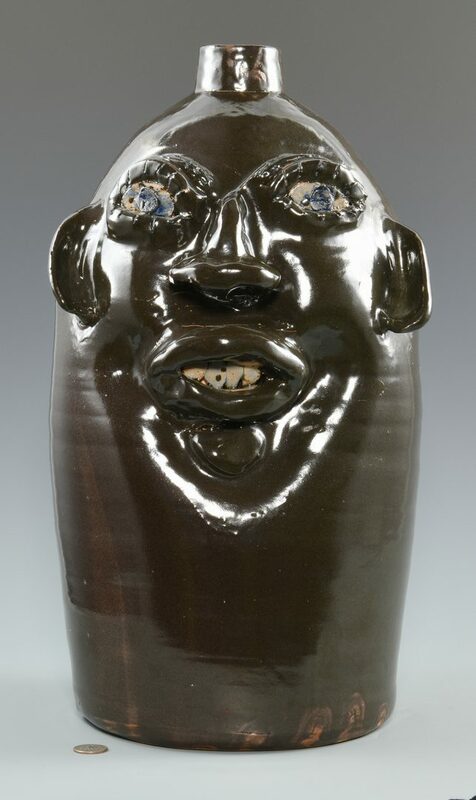 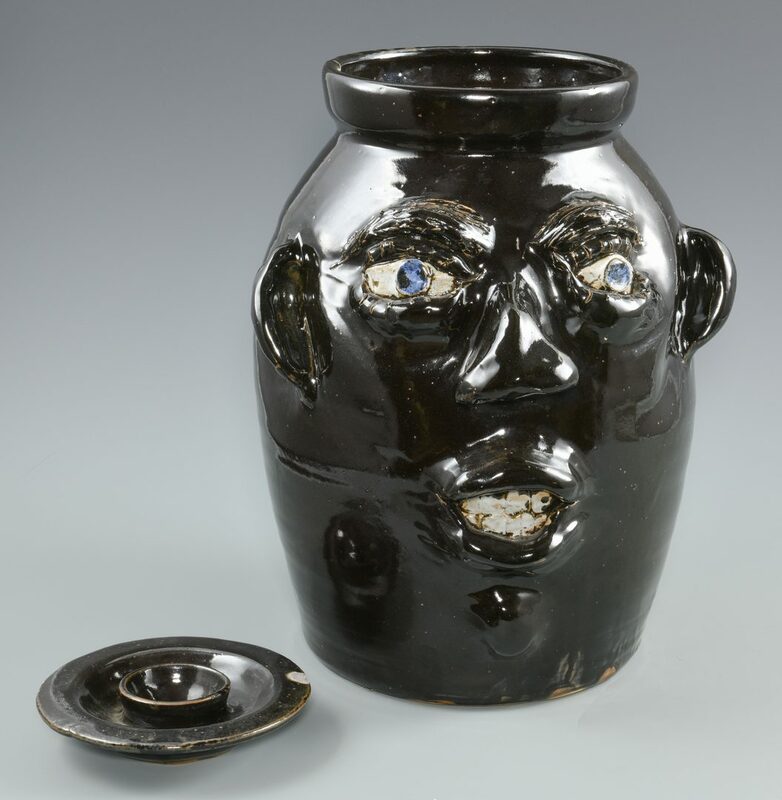 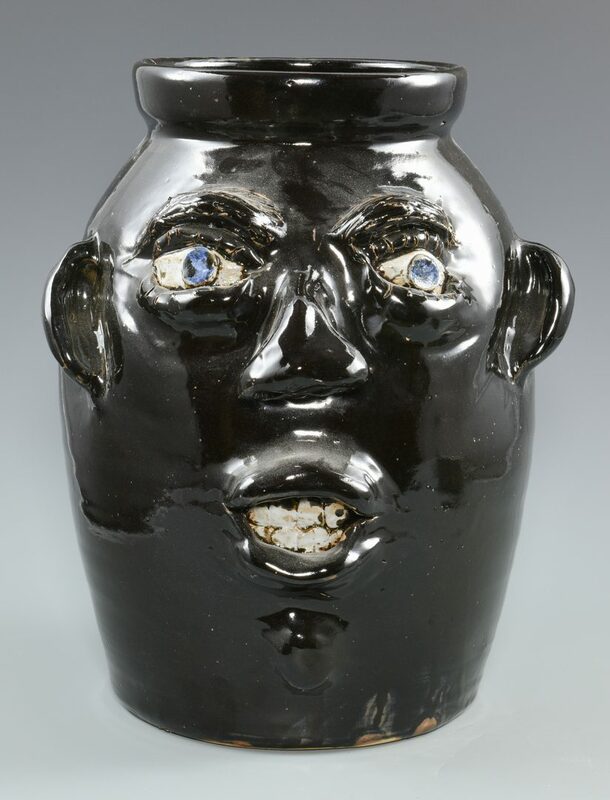 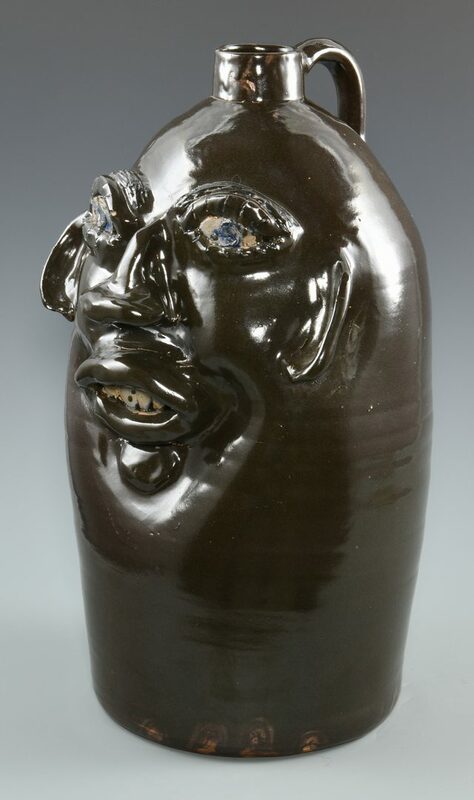 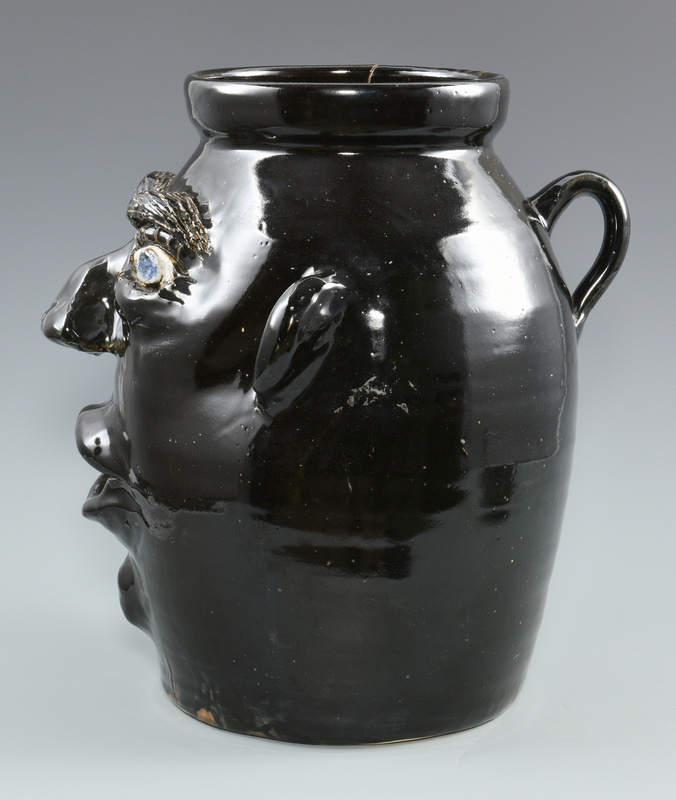 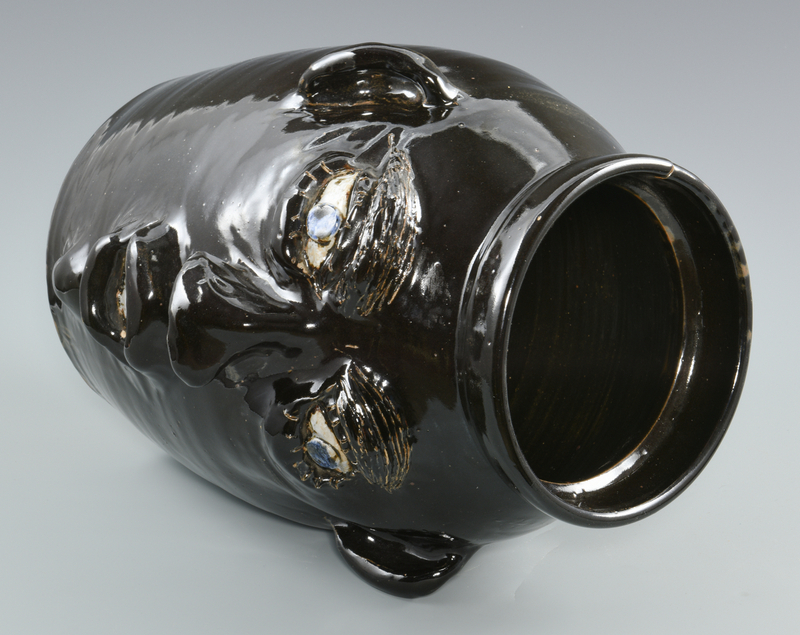 1st item: Face jug with lid having blue eyes, open mouth showing teeth, and protruding chin. 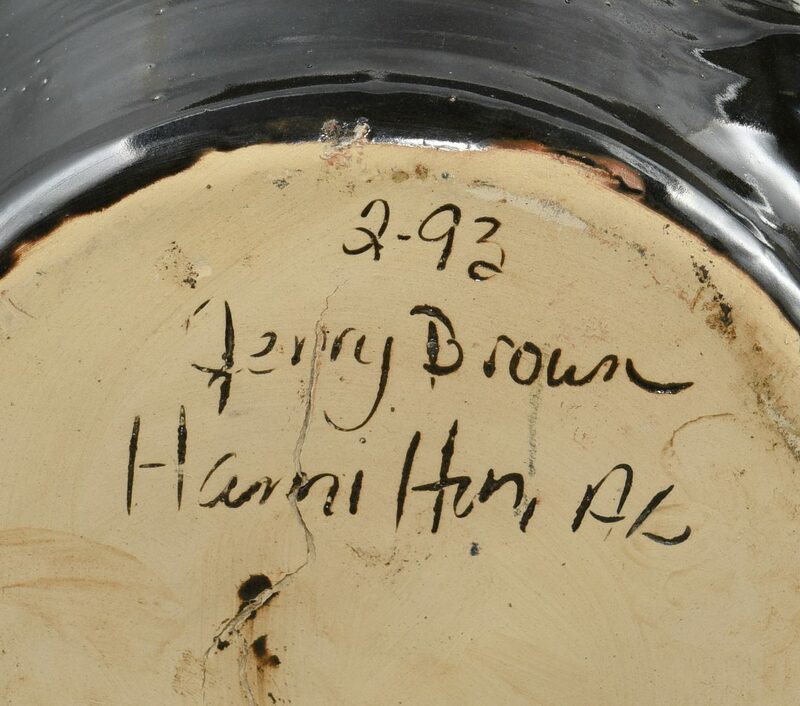 Signed and dated on the base "2-93, Jerry Brown, Hamilton, AL". 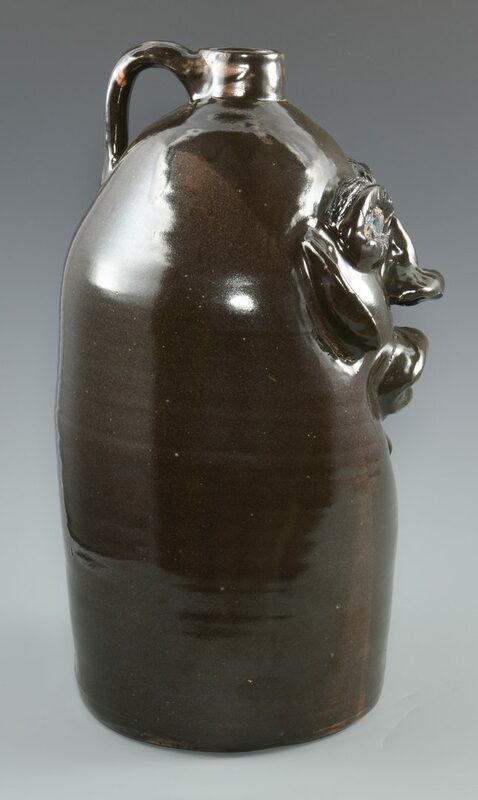 16" H. 20.9 lbs. 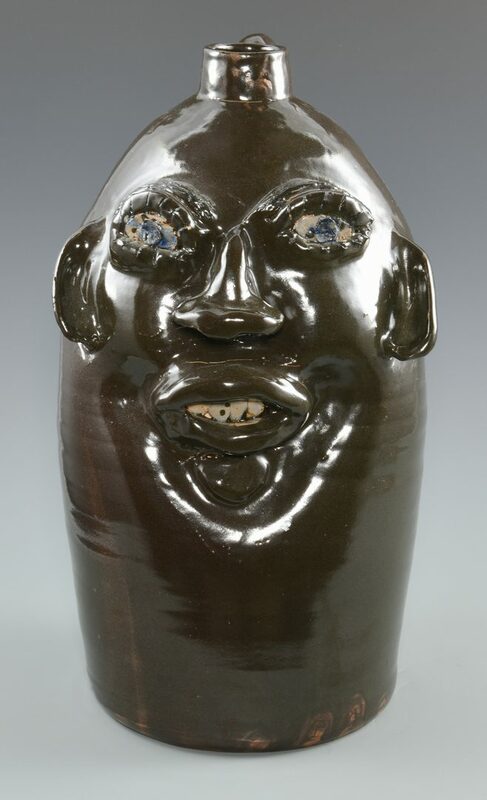 2nd item: Face jug with rear facing handle, blue eyes/eyebrows, and open mouth showing teeth. 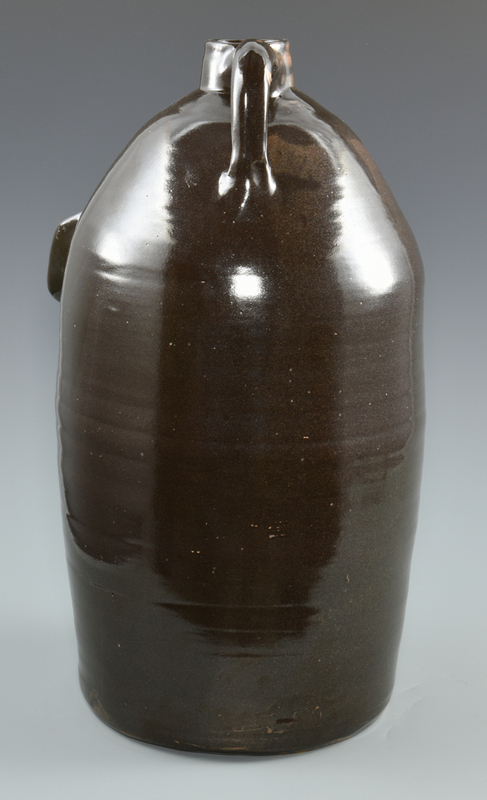 Signed and dated on the base "Jerry Brown, Hamilton, AL 2-93" 19 1/2" H. 20.6 lbs. 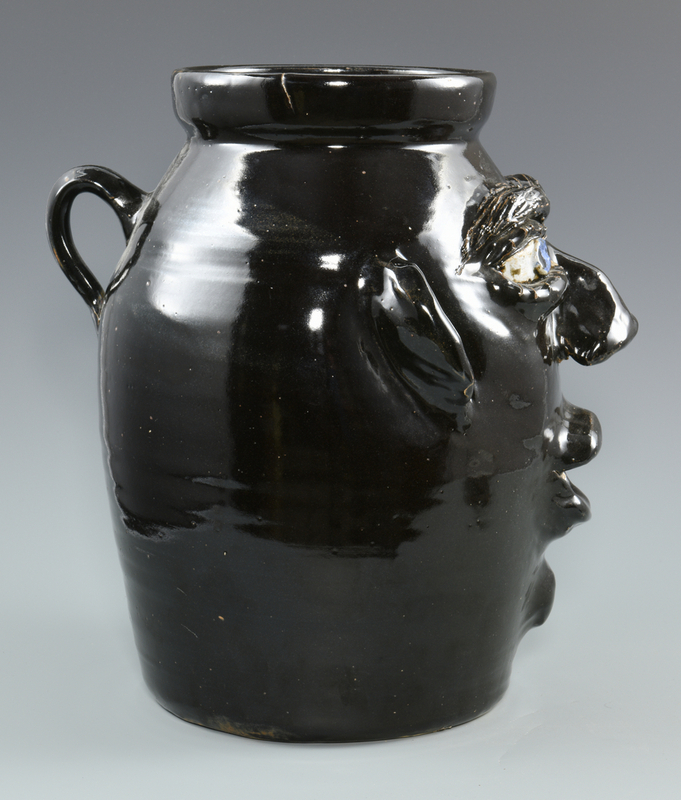 Both items late 20th century. 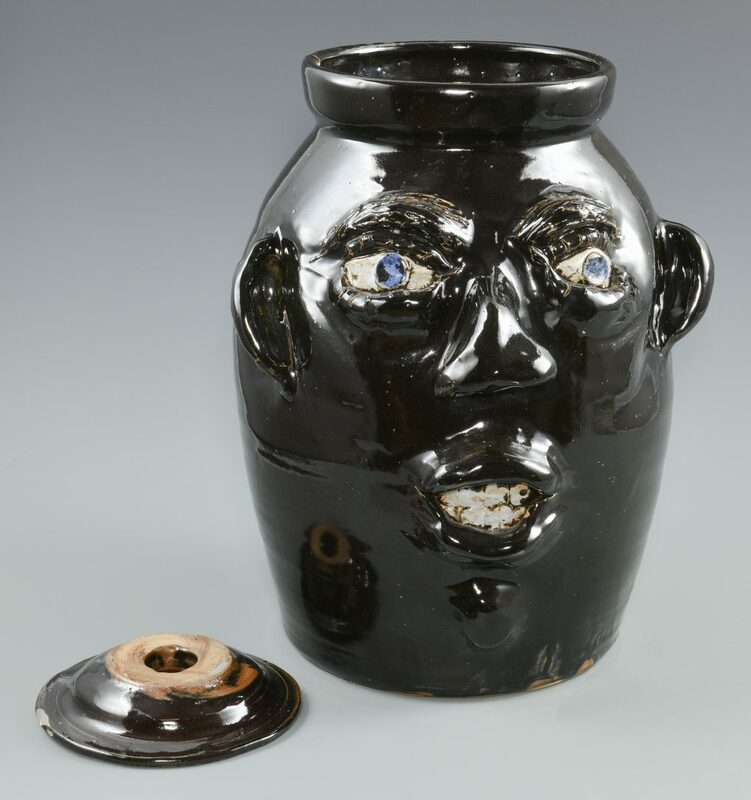 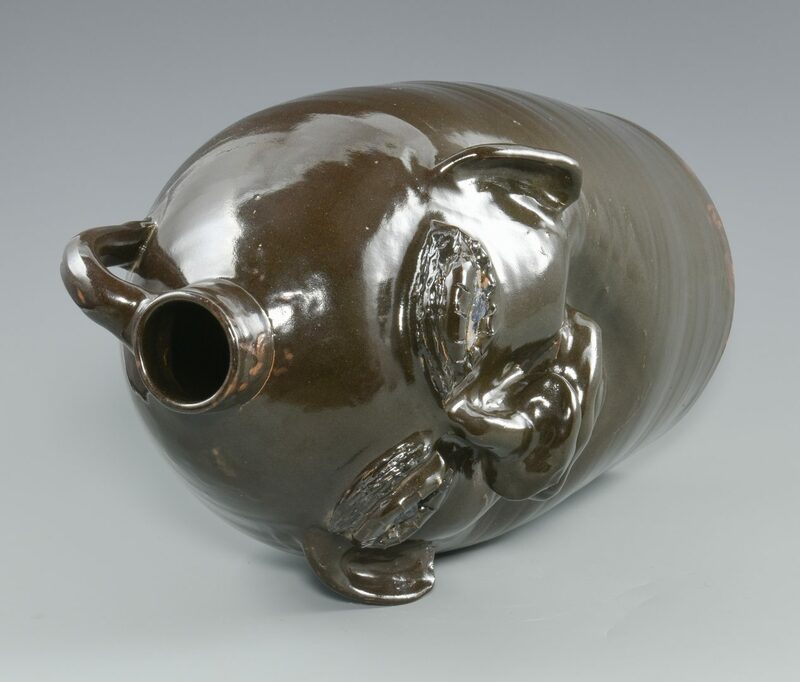 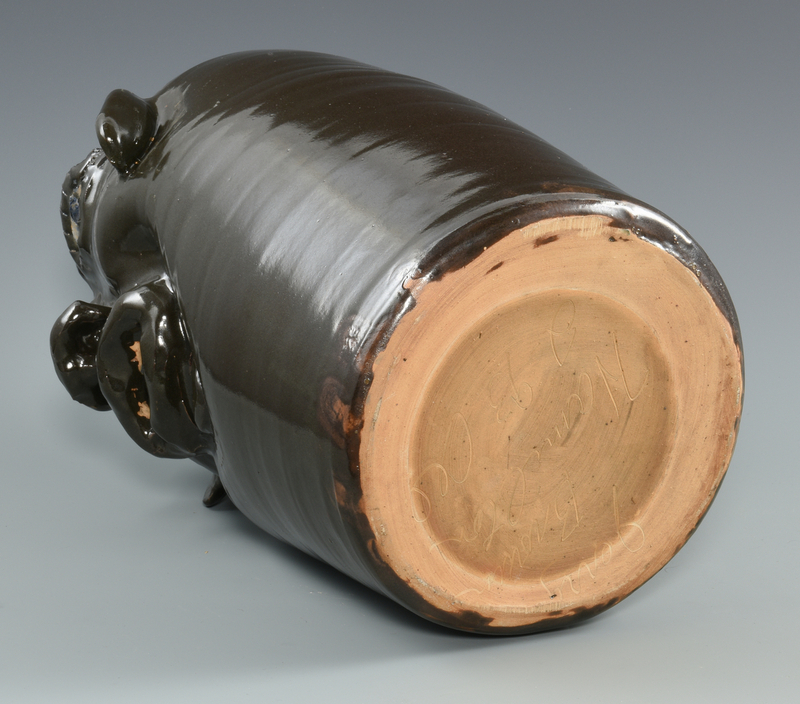 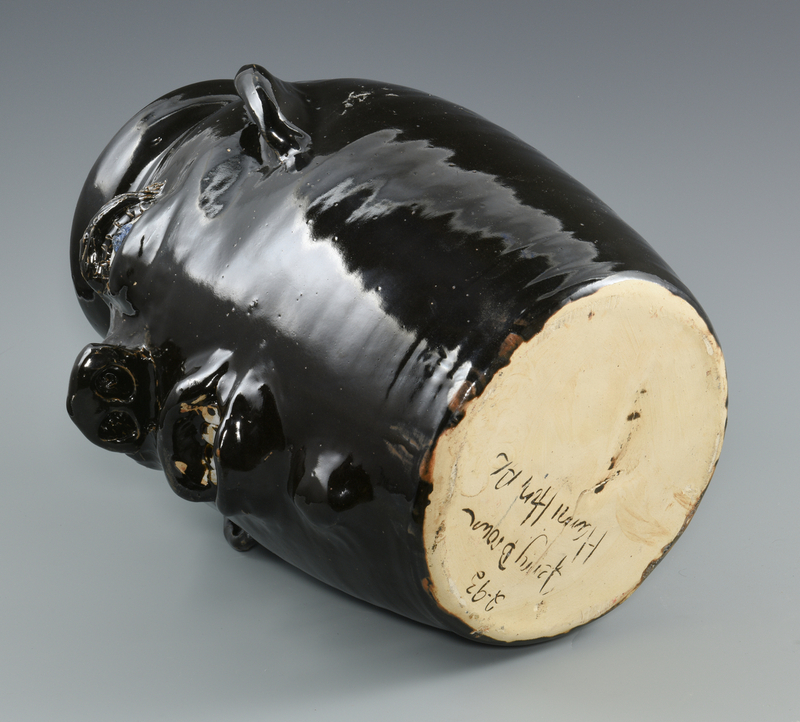 Note: In 1992, Brown, a ninth-generation potter was awarded the National Heritage Fellowship and has had his pottery on exhibit in the Smithsonian Institute in Washington, D.C. Provenance: Property of the Arts Center of Cannon County, Tennessee. 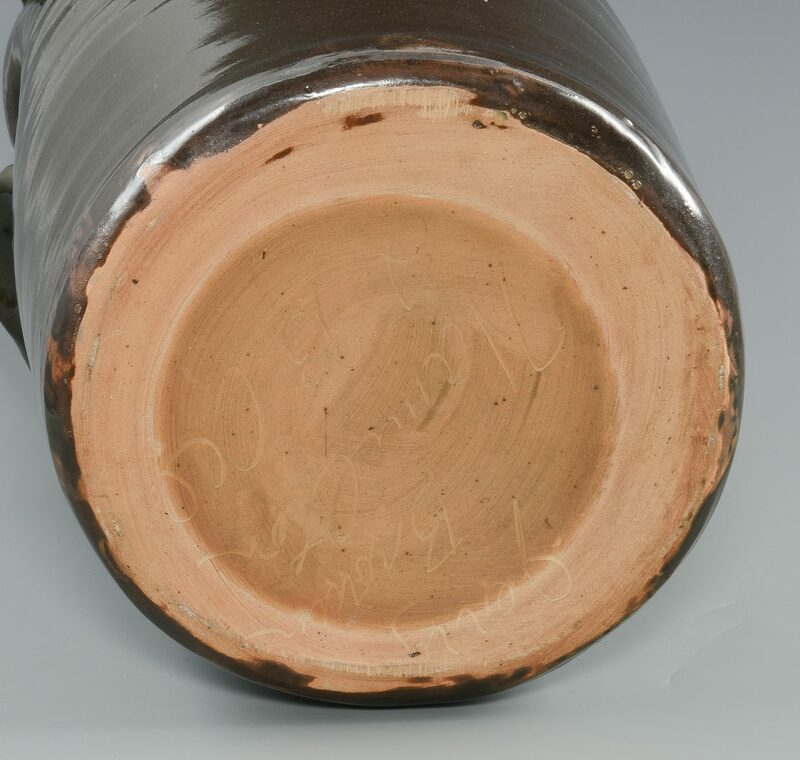 CONDITION: 1st item: Very good condition with firing flaw on bottom, 1" firing crack on rim. 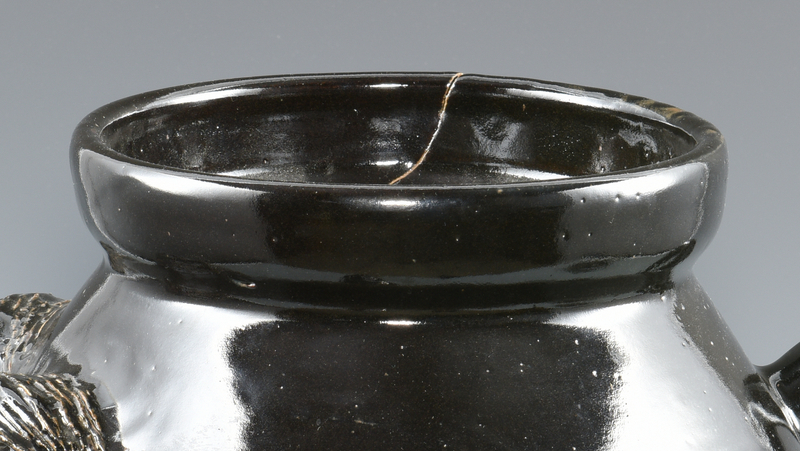 Lid is chipped and undersized for opening. 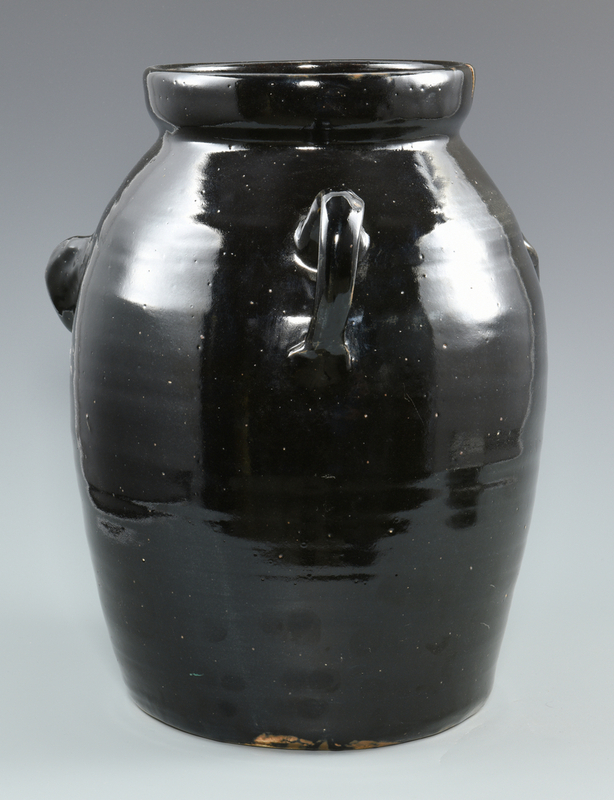 2nd item:Overall good condition with minor glaze skips. 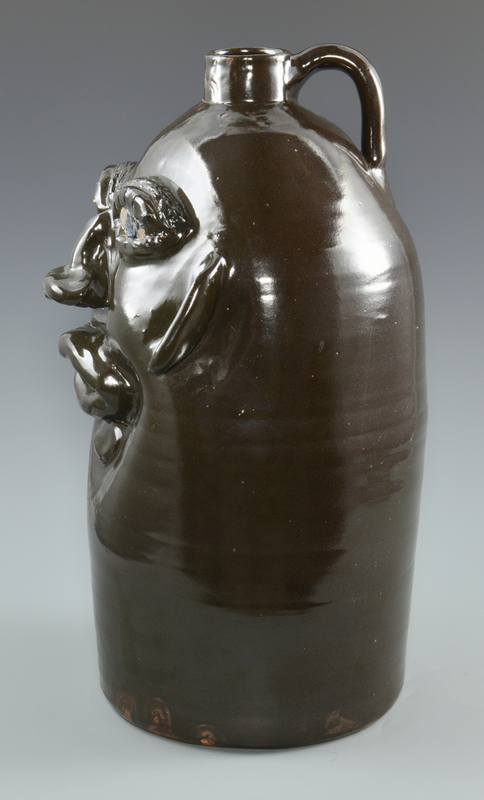 Tight break reglued on left ear.